The Hong Kong Institute of Planners (HKIP) has endeavoured to promote and safeguard development and the environment in Hong Kong in the best interest of the community. 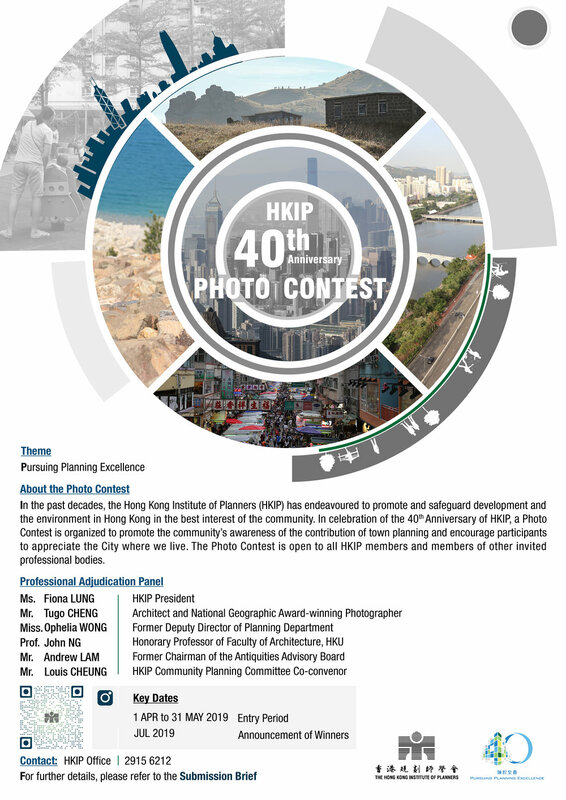 In celebration of the 40th anniversary of HKIP, a Photo Contest is organised to promote the community’s awareness of the contribution of town planning and encourage participants to appreciate our city planning and where we live. 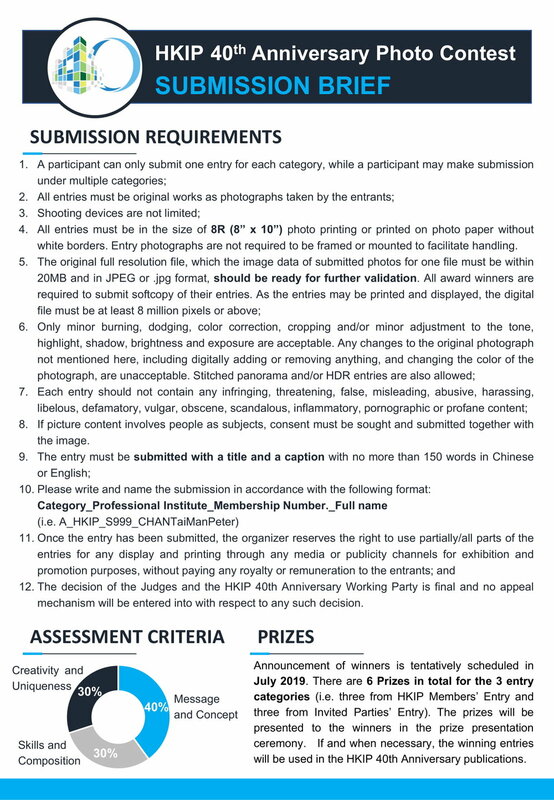 Submissions are now invited for the HKIP 40th Anniversary Photo Contest. The deadline for submissions is 31 May 2019. For the submission requirements and other details, please refer to the attached Submission Brief. We look forward to your active participation in the photo contest!